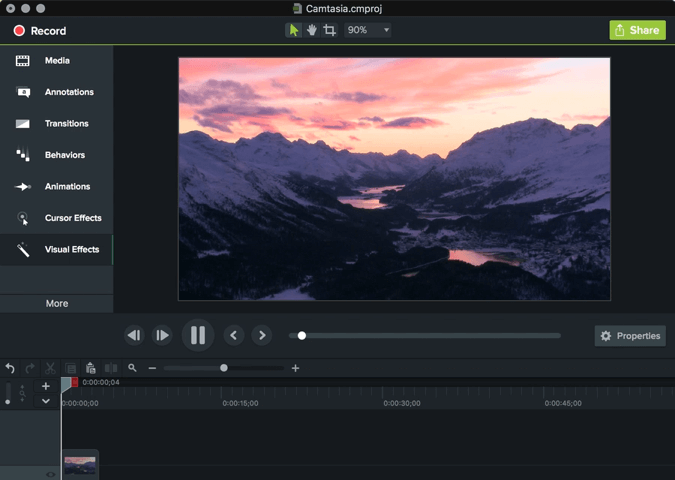 Camtasia makes video editing simple and intuitive. Anyone can create informative, engaging videos. No video experience needed. Creating video content is as easy as 1 2 3. The multi-track timeline expands to fit all your projects. Split clips into two, remove portions of a clip, or delete one entirely. You can also add music, photos, narration, and more. 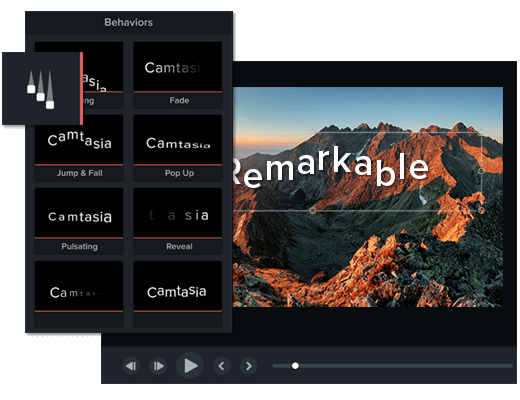 Anyone can make and share engaging videos with Camtasia. 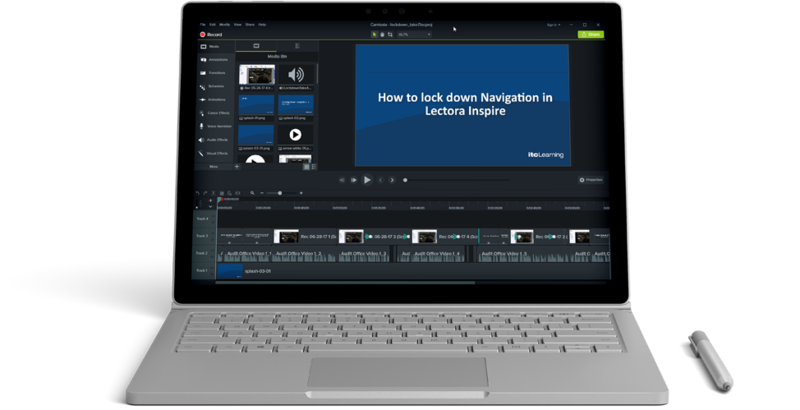 Publish your video to Lectora, or Upload to Youtube, Vimeo, Facebook, or anywhere else you want. Make videos from start to finish in hours, not days. A great way to add context to what you’re showing. Add quizzes to see who is watching your videos, and how much they’ve viewed. Put yourself in your video making it appear like you’re right in the action.